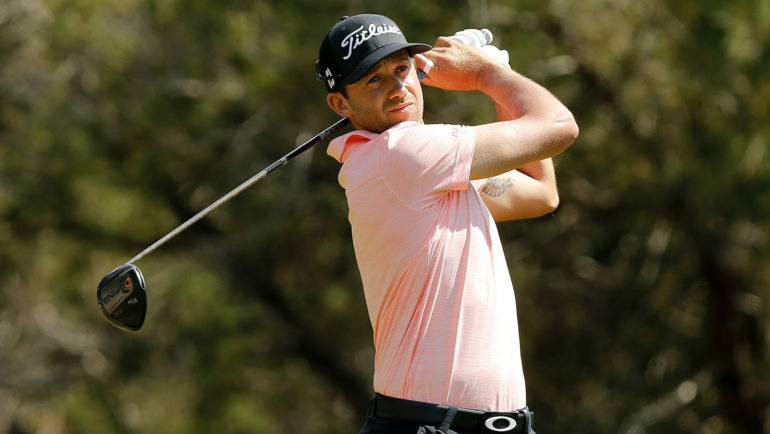 ATLANTIC BEACH, Florida – England’s Chris Paisley used four starts on the 2017-18 PGA TOUR to earn a spot in the Web.com Tour Finals and inched one step closer to full status on golf’s biggest stage on Thursday at the Web.com Tour Championship. Paisley recorded eight birdies and one eagle on his way to a 10-under 61, good for a two-shot lead heading into Friday’s second round of the Web.com Tour’s season-ending event. Paisley opened his week at host Atlantic Beach Country Club with three birdies in his first four holes before closing with a birdie on the 17th and an eagle on the par-5 18th (thanks to a holed bunker shot) to turn in 6-under 30 after starting on the back nine. The 32-year-old’s momentum slowed mid-round with four pars on Nos. 1-4, but he rallied quickly thereafter with a birdie on the short par-3 fifth and back-to-back birdies on Nos. 7 and 8 to reach nine-under overall. 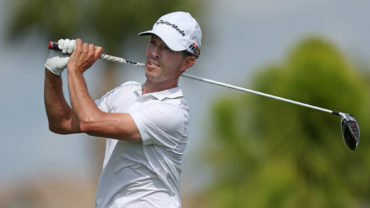 Paisley, who won twice during his college golf career at the University of Tennessee, turned professional in 2009 and has since spent the majority of his time playing overseas on the European and Challenge Tours. Since 2015, he has competed mainly on the European Tour, earning third-place finishes in the 2015 BMW International Open, 2016 Italian Open and 2017 Made in Denmark. Earlier this year, the Stocksfield, England, resident broke through for the biggest win of his career when he captured the BMW SA Open in South Africa with a three-shot victory over PGA TOUR winner Branden Grace. The biggest week of his career, however, may have come at the Zurich Classic of New Orleans in April, where he and fellow Englishman Tommy Fleetwood partnered in the team event to finish T4. The $216,900 paycheck, coupled with earnings from a T37 effort at the World Golf Championships-Mexico Championship in March allowed Paisley to earn a spot in the Web.com Tour Finals via non-member FedExCup points. 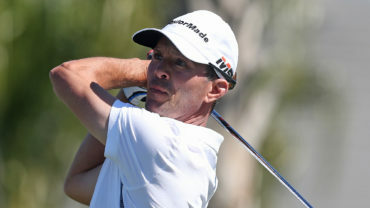 Paisley missed the cut in each of the first three Finals events, which left him needing a strong week at the Web.com Tour Championship in order to achieve his PGA TOUR goal. Paisley needs to finish in a two-way tie for fourth or better, in order to mathematically secure his card. 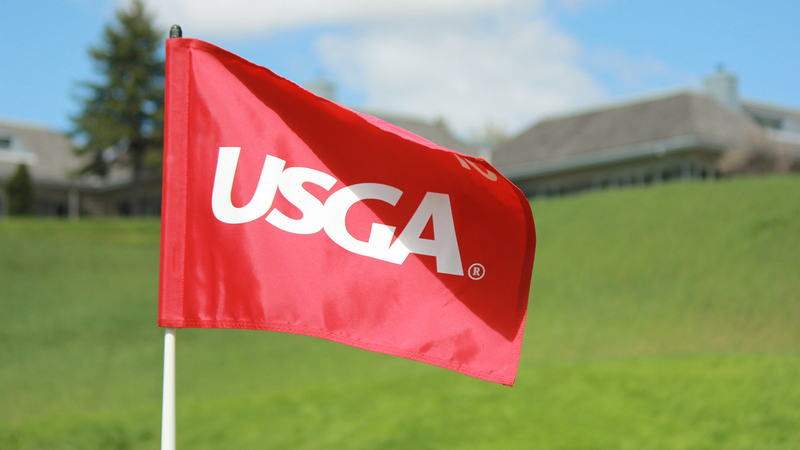 Ben Silverman and Cameron Tringale are tied for second, two shots back of Paisley after matching rounds of 8-under 63. Silverman, who played in the morning wave, was the outright leader for much of the day in Atlantic Beach, recording eight birdies against zero bogeys to set the early mark. 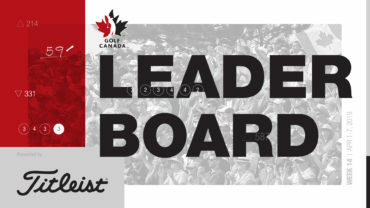 From 2014 through 2016, Silverman competed on the Mackenzie Tour – PGA TOUR Canada, posting four top-10s in 26 events, including a career-best runner-up at The Syncrude Boreal Open Presented by AECON. He qualified for the Web.com Tour via Q-School in 2015 and again in 2016 after losing his card. In 2017, Silverman bloomed late on the Web.com Tour, posting four consecutive top-10 finishes – including a win at the Price Cutter Charity Championship presented by Dr Pepper – to finish No. 10 on the money list, securing one of 25 PGA TOUR cards awarded at the WinCo Foods Portland Open presented by KraftHeinz, where he finished T2. On the PGA TOUR, Silverman recorded two top-10 finishes in his first five starts to finish the fall season at No. 49 in the FedExCup, but struggled thereafter with just three top-25 finishes and a missed cut at the Wyndham Championship to wind up at No. 136. That standing guaranteed him conditional 126-150 status on TOUR next season, but put him in the Web.com Tour Finals with hopes on improving his standing. After opening the Finals with a T58 finish at the Nationwide Children’s Hospital Championship, Silverman notched back-to-back missed cuts at the DAP Championship presented by NewBrick and the Albertsons Boise Open presented by Kraft Nabisco to dip to No. 103 on the Finals-only money list. Tringale, who played in Thursday’s afternoon wave, turned in a modest 2-under 33 but played brilliant golf on the closing nine with birdies on 10, 11, 14, 15, 17 and 18 for a 6-under 30 and an opening 63. Tringale has accrued 243 PGA TOUR starts over his career, notching three runner-up finishes and over $9.8 million in earnings. After finishing 195th in the FedExCup this past year, he was forced to return to the Web.com Tour Finals again in order to secure playing status for the 2018-19 season. The former Georgia Tech star used a T5 at the 2017 Web.com Tour Championship to earn his PGA TOUR card for the 2017-18 season and feels good about his chances on an Atlantic Beach Country Club course that suits his eye.